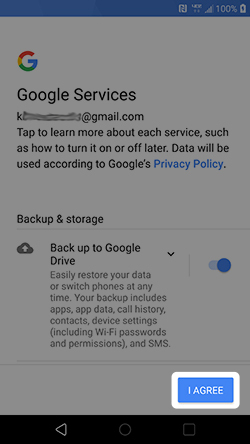 If powered off, press and hold the Power button (on the back) until the Google logo appears then release. 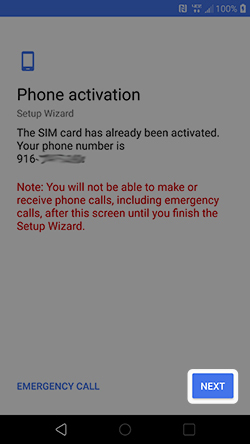 From the 'Phone activation' screen, tap NEXT or ACTIVATE NOW (if available). 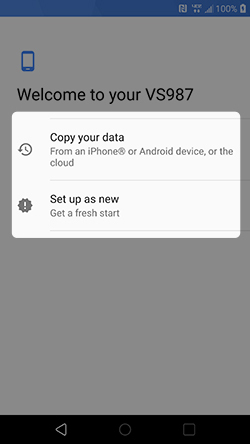 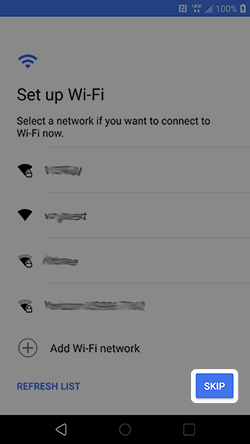 From the 'Welcome to your VS987' screen, tap either 'Copy your data' or 'Set up as new'. 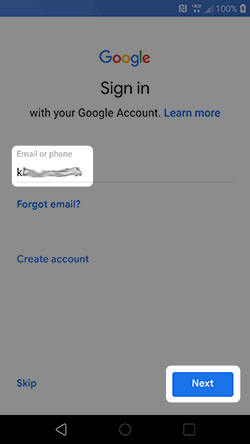 From the 'Google Sign in' screen, enter your Gmail username then tap Next. 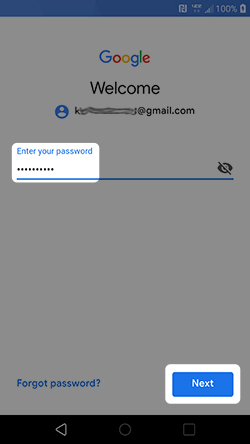 Enter your Gmail password then tap Next. 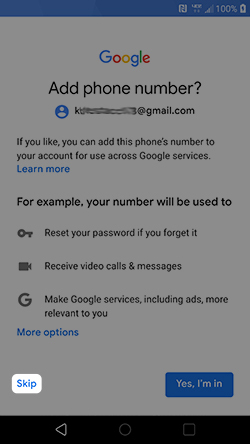 From the 'Add phone number' screen tap Skip. 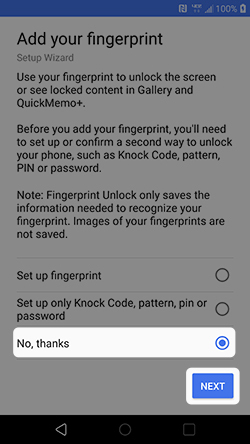 From the 'Add your fingerprint' screen, tap No, thanks, then tap Next. 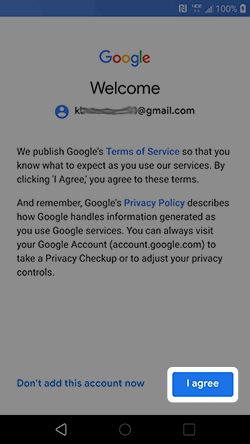 From the 'Google services' screen, select the desired options then tap I Agree. 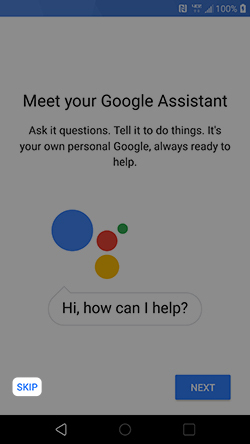 From the 'Meet your Google Assistant' screen tap Skip. 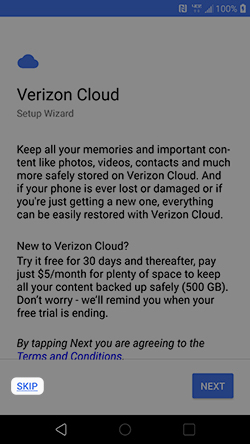 From the 'Verizon Cloud' screen, tap Skip then tap Not Now. 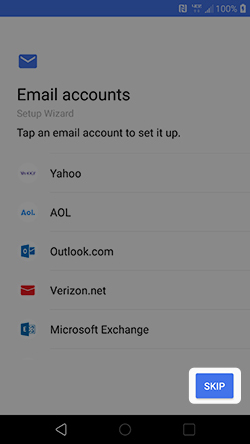 From the 'Email Accounts' screen, tap Skip. 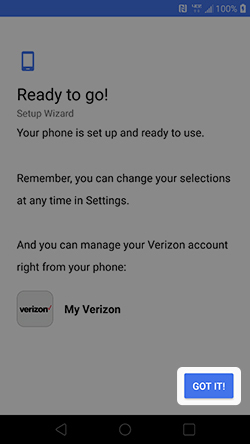 From the 'Ready to go!' 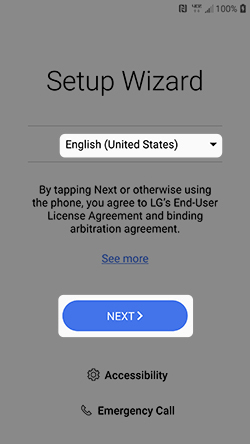 screen, tap Got It.